With LIFX smart bulbs featuring prominently in several Windows 10 IoT (Internet of Things) demos earlier this year, it was only a matter of time before their companion app showed up in the Windows Store. The inevitable came to pass on Tuesday. The official LIFX app for Windows 10 is now available for download from the Windows Store, the Australian startup behind the Wi-Fi lights said in a blog post yesterday. The new app has everything that you can find in its iOS and Android versions, plus a few other features you won’t find elsewhere. The app can be used to control an individual light or a group of bulbs: You can turn them on and off, change colors, adjust brightness, or choose from among a clutch of preset themes and lighting effects. As for features exclusive to Windows 10, the ability to do all of the above through simple voice commands addressed to Windows’ Cortana virtual assistant stands out the most. Equally notable is the fact that you can use it to “onboard” and control almost any connected light that complies with the open-source AllJoyn protocol. AllJoyn is a Qualcomm-developed IoT networking framework managed by the AllSeen Alliance, a nonprofit consortium comprising more than 100 members, including ADT, Cisco, Microsoft, and Qualcomm. 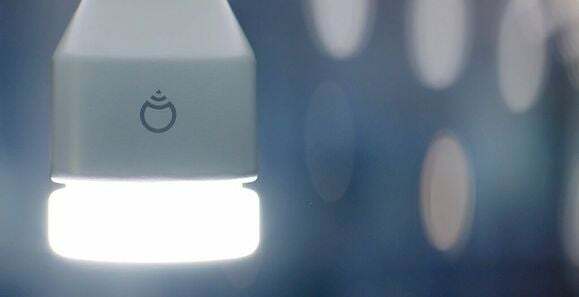 LIFX backs the protocol as well; in fact, it has the distinction of being first to market with an AllJoyn-certified lighting product: the LIFX White 800. Why this matters: While most of the popular discourse surrounding Windows 10 has focused on some of the more run-of-the-mill PC features, many believe smart-home control could prove to be the operating system’s killer app. By integrating AllJoyn into Windows, Microsoft has made it ridiculously easy for smart-home device makers like LIFX to support its push into the smart home. In most cases, all that’s required is a simple firmware update. LIFX doesn’t intend to leave all its eggs in one basket, though. Like most smart-home product developers, the company doesn’t want to be forced into choosing sides in this standards battle too soon. In a recent email to its customers, the company revealed that it will soon commence a project to deliver “Apple HomeKit support that both meets and exceeds your expectations.” LIFX bulbs are currently compatible with the Nest Learning Thermostat, the SmartThings hub, and Logitech Harmony Hub.